Early Registration (begore August 1) is $45.00 (and group rates are available). Early Student Registration (before August 1) is $20.00. Registration (after Aug. 1) is $59.00 ($29.00 for students). 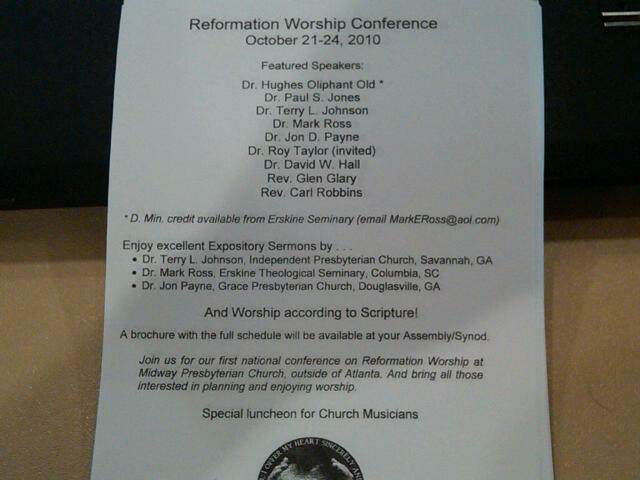 For more information contact Rev. David Hall (david.hall@midway.org), website is in development.